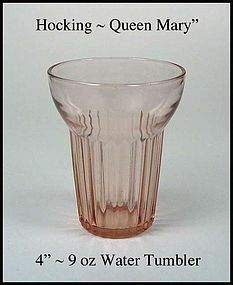 This pink ribbed Queen Mary 4" water tumbler is in excellent condition. We have 2 of these available for $15.00 each. 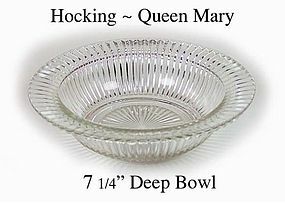 This 7 1/4 inch deep rimmed bowl was made by Anchor Hocking from 1936 til 1949. It is used as an individual salad bowl, or a cereal bowl or for serving. No chips, no scratches.